In late January, Osama bin Laden released an audiotape praising the Nigerian who tried to blow up a Detroit-bound airliner on Christmas Day 2009. “The message delivered to you through the plane of the heroic warrior Umar Farouk Abdulmutallab was a confirmation of the previous messages sent by the heroes of [September] 11th,” he said. Tuesday, Aug 31, 2010 Mission accomplished in Iraq? 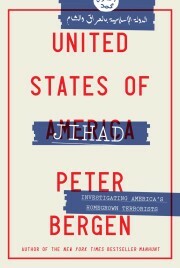 Editor’s note: Peter Bergen, CNN’s national security analyst, is a fellow at the New America Foundation, a Washington-based think tank that promotes innovative thought from across the ideological spectrum, and at New York University’s Center on Law and Security. He’s the author of “The Osama bin Laden I Know: An Oral History of al Qaeda’s Leader.” Katherine Tiedemann is a policy analyst at the New America Foundation. They edit the AfPak Channel on ForeignPolicy.com. THE highly classified C.I.A. program to kill militants in the tribal regions of Pakistan with missiles fired from drones is the world’s worst-kept secret. The United States has long tried to maintain plausible deniability that it is behind drone warfare in Pakistan, a country that pollsters consistently find is one of the most anti-American in the world. For reasons of its own, the Pakistani government has also sought to hide the fact that it secretly agreed to allow the United States to fly some drones out of a base in Pakistan and attack militants on its territory.